Lot 863. 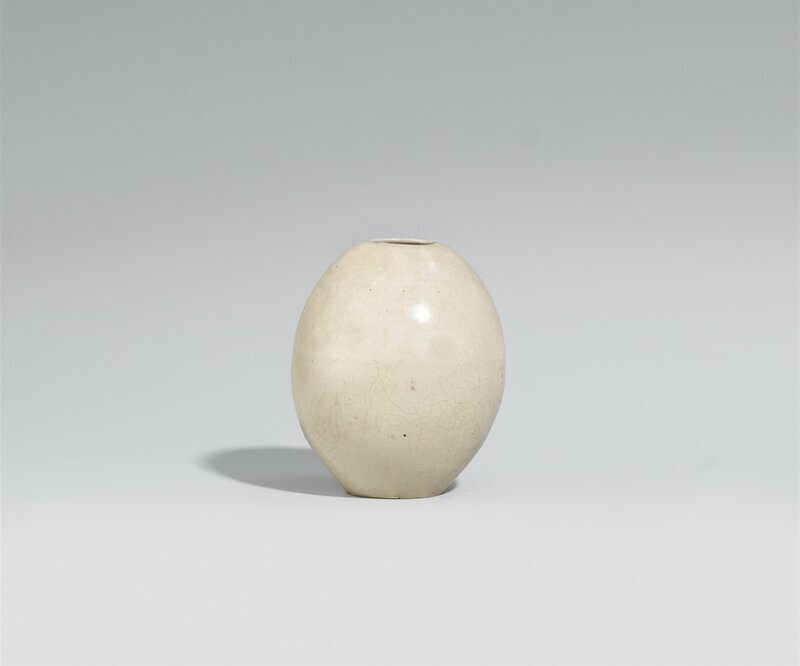 A small egg-shaped vase, Southern Song dynasty (1127-1279). Height 10 cm. Estimated price €1.000 - €1.500. Result: €1.250. © Lempertz. 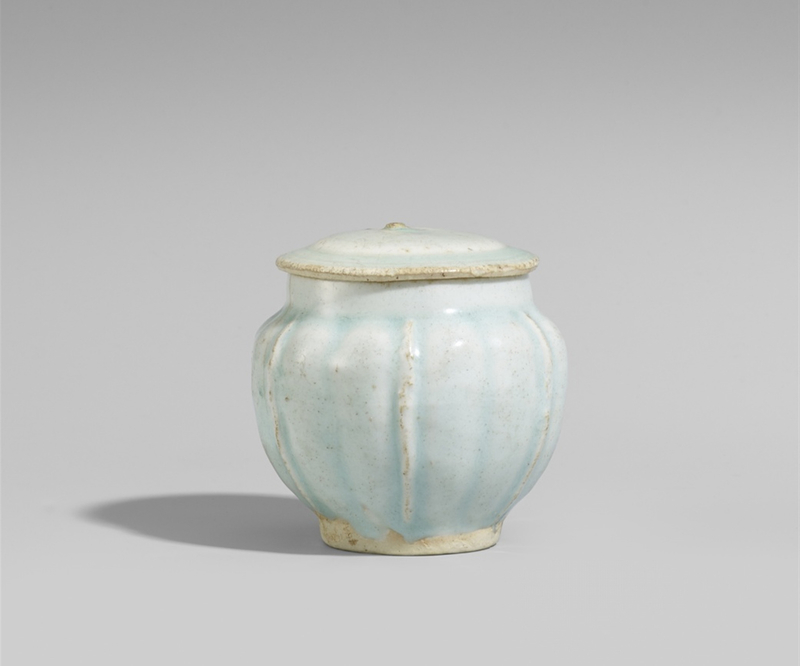 Covered with a crackled pale brownsih-white glaze. 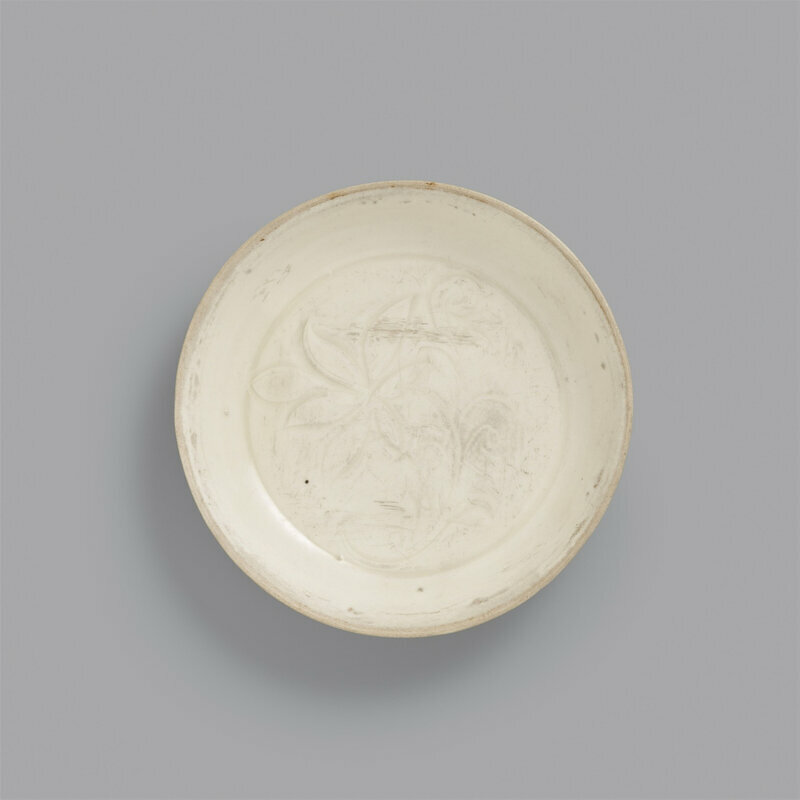 Collection Friedrich Otto Hasse (1886-1964), Bremen, acquired at the above auction and thence by descent.